The sixth year in succession: KLUG-CONSERVATION exhibits at the 27. 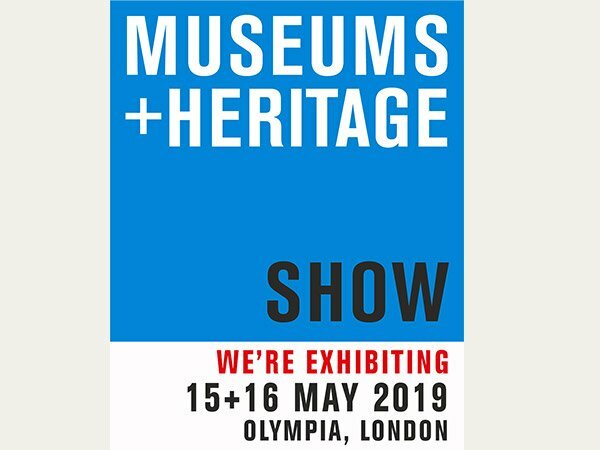 Museums + Heritage Show in London – from 15. – 16. May 2019. 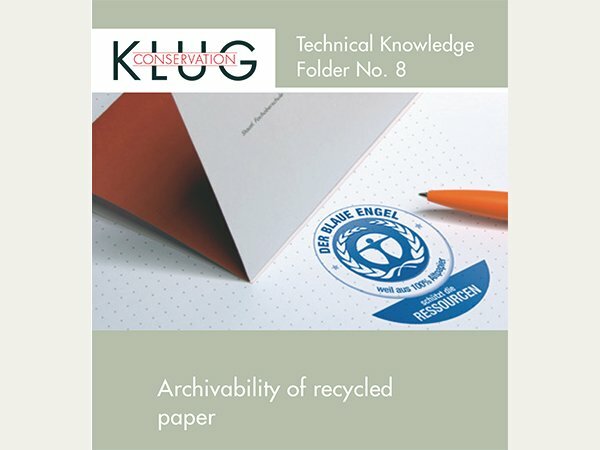 The eighth edition of our "Technical Knowledge Folder" series has been released recently. 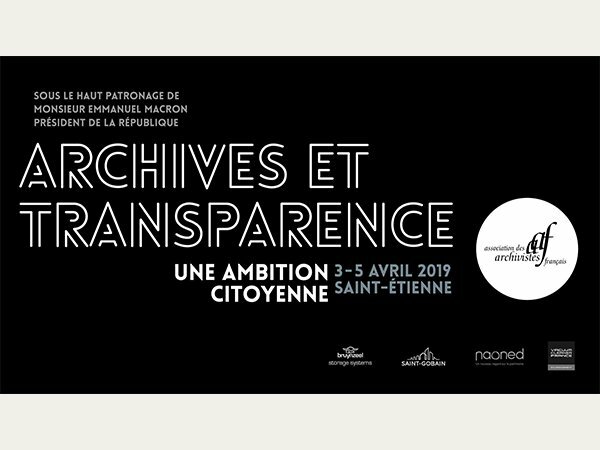 Conference of the Association of French Archivists in Saint-Etienne – 3 to 5 April 2019. 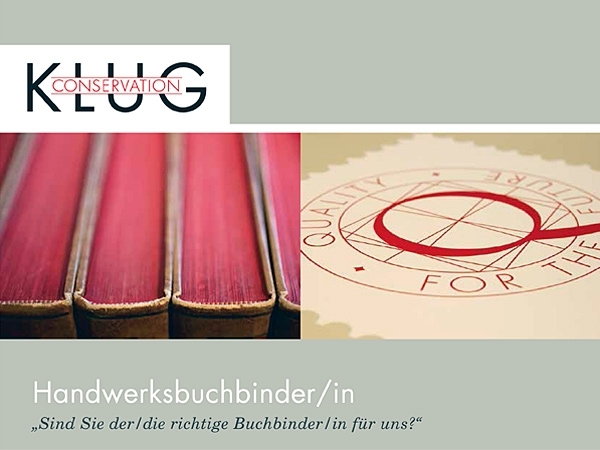 KLUG-CONSERVATION with their headquarter in Immenstadt (Allgaeu/South Bavaria), is an international paper and board wholesaler with integrated paper processing and book bindery, has a vacancy for a hand bookbinder to join their existing team.